If you're look for a statement piece to carry for mini-vacations and more, then you've found it. 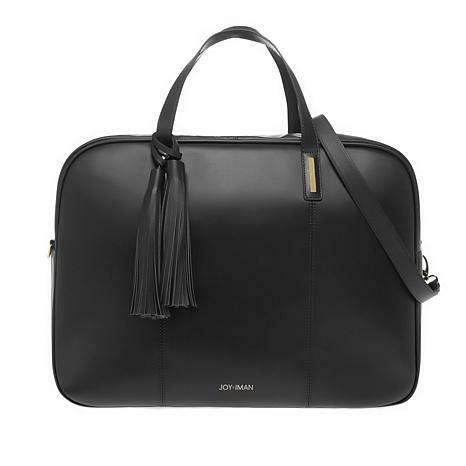 This weekender is stylish and chic. The combination of genuine leather and goldtone hardware sets the bar high above other travel bags. You'll love the spacious interior, RFID-blocking technology and compliments too. I love these bags! As stated in the title, so classy looking and chic. I feel like I star carrying this weekender. I got white for the summer and black to carry work stuff in or whatever else I choose, red and cognac - maybe to give as gifts (or not). The leather is smooth and the inside is roomy. Just a classy bag for whatever you choose to use it for. Love them. I just got the red weekender and I am pleased with my purchase. The color is vibrant and it looks great. Cant wait to use it for my upcoming trip. 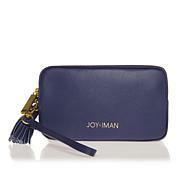 I love Joy and Iman products and have several of their handbags, luggage ect. 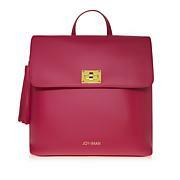 But this Weekender along with the Back Pack is by far one of my favorites. The leather is SO soft and the bags are gorgeous. Got 2 sets! Red and Chambray Blue. Love them! Bought for my daughters. One in purple and one in red. They live them. Great for a weekend away or to use as a carry-on. I got it on the taupe and its pretty sturdy and extremely well made. Travel with it all the time and the laptop compartment is perfect. 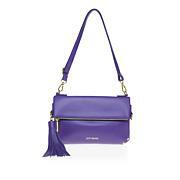 I also got the crossbody same color. The leather is soft and the colors are saturated. Love it.